Greek Oregano has a distinctive strong and spicy aroma which is great when added to tomato sauces, vegetable dishes and salads. 8-10 weeks to harvest. Each packet contains approximately 900 seeds. Despite it's association with Italian cuisine, oregano actually originates from Greece and this particular variety has been used in Greek cooking and medicine since ancient times. Greek Oregano is considered one of the most versatile and delicious of all the oregano varieties. Oregano pairs particularly well with tomatoes, eggplant, eggs or lamb. Oregano is also great simply sprinkled over the top of pizza before baking or mixed through a salad. Oregano can be used to make herb blends and marinades with other Mediterranean herbs such as parsley, rosemary, basil, sage, marjoram and savory. Choose a growing site for oregano that receives full sun or light shade, the flavour of the leaves will be stronger the more sunlight the plants receive in a day. Oregano is a perennial that will grow for many years, in cooler climates it may die back during Winter but will reshoot as the weather warms up again in Spring. Ensure the soil is free draining, dig over garden beds before planting or grow in raised beds if your soil is too heavy with clay. 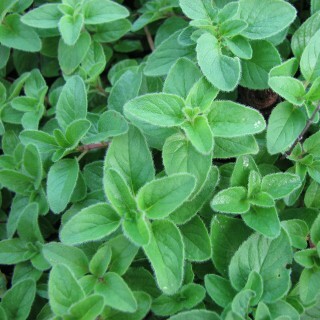 Oregano prefers growing in a soil with neutral pH, between 6.0 and 8.0 is ideal. Oregano isn't a heavy feeder so fertilise lightly when planting and no more than once a year after unless plants look to be deficient in nutrients. Don't overwater your oregano plants, allow the soil to dry out between waterings. In cooler regions of Australia sow oregano seeds from October to March. In temperate regions of Australia sow oregano seeds from September to May. In subtropical areas of Australia sow oregano seeds from August to May. In tropical areas of Australia sow oregano seeds during the dry season from May to August. Greek oregano seeds are tiny so cover them lightly with soil no deeper than a couple of mm deep, firming it down to prevent the germinating seeds from drying out. Thin seedlings to about 15cm apart to give your oregano plants sufficient room to grow. Greek oregano seeds take between 7 and 14 days to germinate once sown. You'll be able to harvest decent quantities of Greek oregano leaves from about 8 to 10 weeks after sowing.